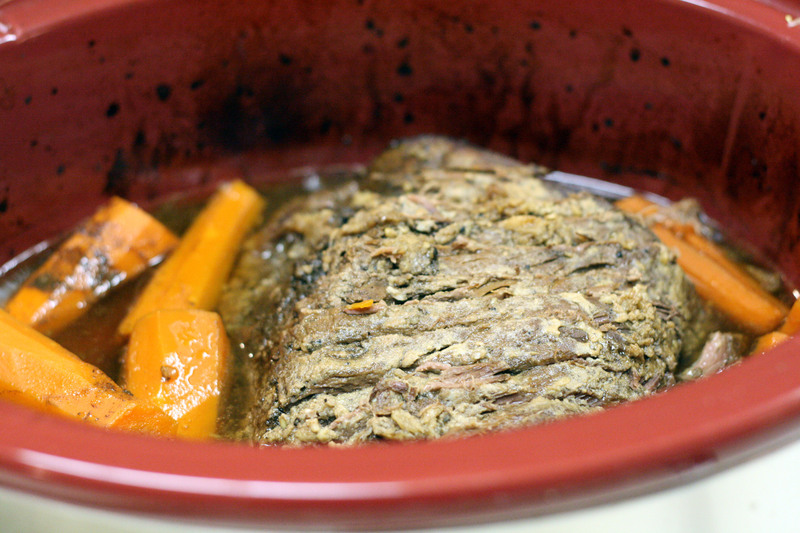 This week Alaina and I will both be sharing our favorite slow cooker pot roast recipe. A good pot roast is one of the most delicious comfort foods there is and can be very simple to make. Pair it with mashed potatoes, a steamed green veg or salad, and you have a hard-to-beat meal. This recipe is one that I found soon after I was married and have used without fail ever since. Rub pepper and garlic into roast. Place roast into crockpot. Make several shallow slits in top of roast. Combine remaining ingredients and pour over meat. Cover; cook on low 8-10 hours or on high 4-5 hours. NOTE: Sometimes I add a few peeled carrots in with the roast. I love the crock pot recipes. I use it a lot in the fall when I am in the field all day and want to have something hot when we come in. Have either of you tried slow cooker liners from the Reynolds company? They are WONDERFUL!